J & D Fence Experts, Inc.
A+ Underground Pet Fencing, Inc. Comment: I need to replace 2 sections of chainlink fence. 1 section is about 26' long and the other is about 20' long. The current height is about 3' 6." I need an oversized gate, 4' or 5' should work. I might be interested in some other materials based on price, material and curb appeal but chain link would work. Comment: Townhouse association sent letter saying fence capboard needs to be replaced, please submit an estimate for 29 Sumac Ln, Schaumburg, 60194. Comment: The backyards of our townhouses are fenced in. This is a shared fence, about an 8' section. I thought it was just loose, it would lean to either side, but looking at it closer the wood doesn't look that good either. That section may just need new. There's about 8 more feet to meet up with the back of the fence & I'm unsure if the entire side needs replacing. Comment: We need a price with a gate and without a gate. Schaumburg Fence Contractors are rated 4.73 out of 5 based on 587 reviews of 34 pros. 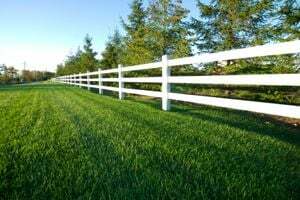 Not Looking for Fences Contractors in Schaumburg, IL?